The gorgeous and impressive condominium complex of Astoria, in Bellevue, Washington presents an excellent real estate option for homebuyers interested in Bellevue, Washington. Offering abundant amenities, incredible units, and amazing views, Astoria is an incredible and enticing real estate option. 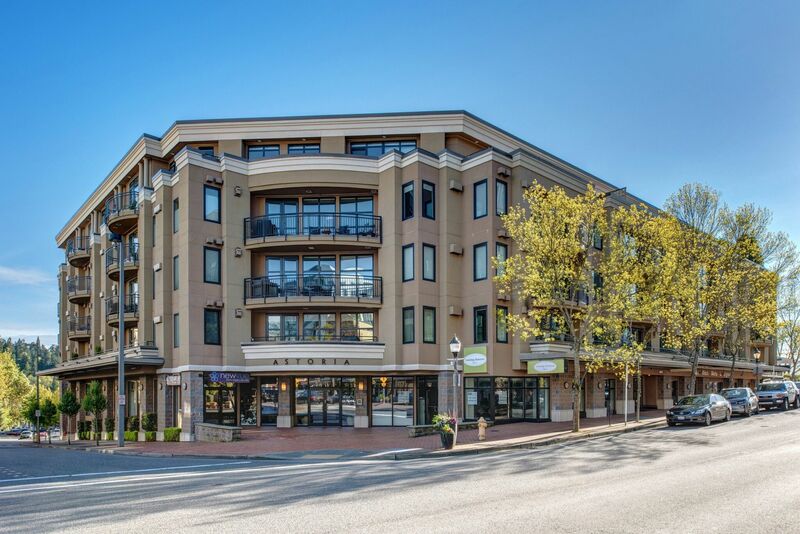 Located at 10047 Main Street in Bellevue, Washington, this gorgeous complex is conveniently located right next to all the attractions, dining, and shopping that wonderful downtown Bellevue is known for. Buy a new condo in Astoria and indulge in luxury living, a great location, and a lively community. While Astoria features a great location and impressive stature, the amenities in the complex and the surrounding community are truly first-rate. Buy a home in Astoria and enjoy secure parking, concierge services, and a relaxing and gorgeous sun-terrace located within the complex. There are plentiful dining options near Astoria, as the beautiful town of Bellevue offers delicious restaurants like Daniel’s Broiler or McCormick & Schmick’s Seafood and Steaks. Astoria also boasts proximity to amazing recreation, such as Bellevue Botanical Gardens and Marymoor Park, where outdoor activities are sure to be exciting. Astoria is an incredible real estate option for homebuyers looking to make the most out of living in the gorgeous city of Bellevue. Buy a home in Astoria and take advantage of this great opportunity today. In addition to offering great amenities, the units that are available in Astoria are diverse and luxurious. The condos in Astoria range in size from 910 square feet to nearly 1,700, with 1, 2, and 3 bedroom units available, offering homebuyers with any need for living space a great opportunity to own a home in Astoria. Astoria condos offer incredible features, such as custom kitchens, luxury bathrooms, abundant natural light, and opportunity for decks with gorgeous views of the surrounding community and Meydenbauer Bay. The deluxe features in Astoria are incredible and enticing, and are sure to provide homebuyers the opportunity to live at the summit of luxury. Those interested in taking advantage of the incredible real estate opportunities that Astoria in Bellevue, Washington presents should not hesitate to contact us today for more information or with any questions they might have regarding condos for sale in Astoria.